How many times have you driven past a neighbors house only to focus on how great the lawn looked? Do you know that a great looking lawn takes time and coordinating hydrating, lawn mowing, fertilizing, aerating and weed control to maintain that deep green color. A healthy grass is resilient and able to withstand extreme heat and cold. Grapevine Lawn Guys offer premium grass installation, (Sod) for the North Texas area. Sod grass is planted through a series of steps to provide a fast, green lawn that you would be proud and love spending your family in the yard. Having soft grass between your toes is almost therapeutic and blissful. There are many types of grass and Grapevine Lawn Guys offer the best services and the best grass available. Every variety of grass has its pros and cons. The objective is to provide you with solid information, therefore you can able to determine which sod is perfect for your landscape. You should also consider that you might need to choose different types of grass to grow in the problem areas of your lawn. On some occasions your lawn might have issues with your grass not growing as well as it should. Often times large trees or areas that don’t get very much sun might not grow very well. Have a second type of grass growing in different areas would solve this problem. Some types of grass grow well in partial shade. Keeping healthy grass will help deter unwanted weed growth. Problematic weeds lead to other weeds and poor soil conditions. At times using herbicides is effective, but can be dangerous to your family and pest that play in the yard. A thick, healthy lawn that forces out weeds from replanting seeds and keeps your lawn looking healthy. St. Augustine grass is a popular grass in Texas, and particularly country along the Gulf Coast. St Augustine is also planted frequently in Mexico, the Caribbean, and various other warm climates. This broad, coarse, textured grass blades are an eye pleasing greenish blue color. This grass grows well in all soils that are well draining. St. Augustine is heat and drought tolerant, as well as keeps its color even throughout the growing season. St. Augustine grass is well suited if you have a shady area in your lawn. Grapevine Lawn Guys know St. Augustine grass may is great grass for landscapes with trees and other partial shaded areas. It will do as well or better in moderate shade than other warm season grasses. Although St. Augustine grass tolerates some shade, it won’t grow thick and beautiful in deep shade. The grass requires at least four hours a day of sun to really do well. St Augustine is not well suited for colder climates. Bermuda grass is another one of the very popular warm season grasses. This grass can be easily planted from grass seed, sod or transplanted grass plugs. Bermuda is a beautiful, durable grass. Bermuda grass is one of the few warm season grass varieties that will grow into the cooler climates and will retain a beautiful green color all year round. This grass can be grown on low to high maintenance plan depending on rainfall and summer conditions. Bermuda sod placement can be established in a matter of days. When temperatures drop to the point of frost, Bermuda grass will go dormant until spring growth resumes. Grapevine Lawn Guys recommends Zoysia grass for your landscape. Zoysia is a warm season grass that is known for its ability to withstand heat, drought, and other conditions. Zoysia delivers a beautiful, thick lawn with minimal effort. Zoysia is right for you when your yard takes full sun and does not require very much water. Low water and maintenance requirements, handles foot traffic well. 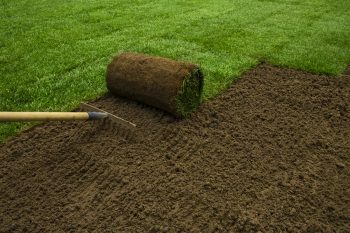 When you call on Grapevine Lawn Guys to install new sod into your yard, you will get professional work and service. We take great care and follow a time proven process to leave your new planted yard looking great. We inspect the location for soil type, debris such as rocks, and installed sprinkler heads. We provide you with a free, detailed estimate with grass recommendations and options. 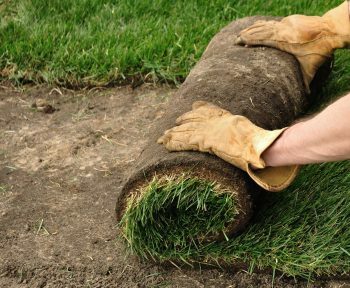 A scheduled time to begin the removal or you old grass if needed, or for new house with no grass, soil preparation to install the sod. Watering the topsoil and laying grass evenly and trimming for corners and curved areas. Rolling the grass to maintain a secure placement to allow roots to establish in the soil below. Once your new lawn has been installed we will advise you on how to water your lawn or set your sprinkler times. Watering is essential to perpetuate the roots growth into the soil below, but you do not want to over water your lawn. Grapevine Lawn Guys will follow up with you to see how your new lawn is progressing and established. We will provide answers any questions or concerns you may have.